Eye lifts are best for people who have the right sort of eyes — well-recessed, without medical conditions such as blurry vision, dry eye, double vision, diabetes and thyroid problems. As with any plastic surgery in Charlotte, NC, it’s a good idea to stop smoking and drinking several weeks before the operation, and stay away from aspirin, ibuprofen, anti-inflammatory drugs or certain herbal supplements, especially those that thin the blood slightly. If you take medications, be sure to tell your surgeon about them, and follow his or her advice about whether you should stay on them. You should plan to have about a week to recover from the eye lift. You should also have music or books on tape handy, so you can relax without using your eyes too much. According to the American Society of Plastic Surgeons, upper eyelid surgery is the second most popular form of facial plastic surgery, after rhinoplasty, and is the most common plastic surgery in South Korea. They can be used to correct drooping eyelids that impair vision. In some cases, the problem is that the eyelids are being pressed on by the skin of the forehead. In a case like this, a brow lift would be more helpful than an eye lift. Only an expert facial plastic surgeon can tell you which procedure you need. removed, the surgeon must be very careful to make sure that the eye is still able to fully close. 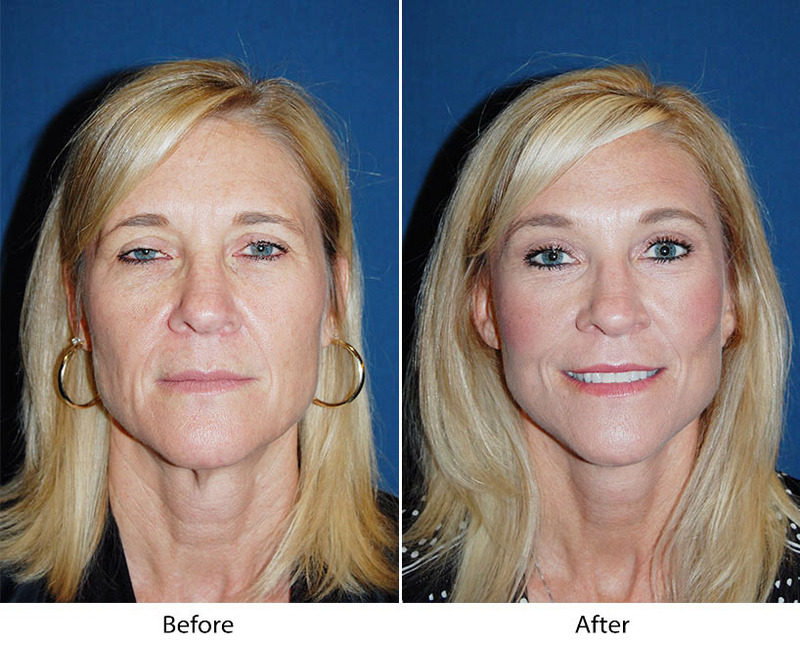 There are surgeons who perform eye lifts under local anesthesia, but general anesthesia is more common. The first step in the process of getting an eye lift is to talk with an expert. Dr. Sean Freeman is Charlotte’s best facial plastic surgeon. He has practiced nothing but facial plastic surgery since 1988, including procedures on the eyelids. He’s been certified by two different surgery boards, the American Board of Otolaryngology (head and neck surgery) and the American Board of Facial Plastic and Reconstructive Surgery. He runs a state-of-the-art facility and has made a YouTube video that explains the procedure and shows several before and after photos of his eye lift patients. If you are interested in eyelid surgery, make an appointment today, or ask for an online consultation so you can take advantage of the discount he offers on the consultation fee.